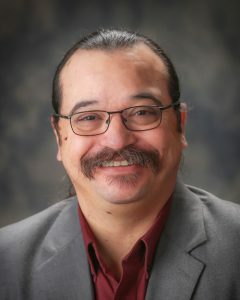 Jay Otero joined KBBH in 2004 connecting his experience as an educator and counselor to his passionate belief that every child and adolescent can overcome behavioral health challenges and realize their full potential. Under Jay’s leadership, direction, and strong family orientation, KBBH offers a full spectrum of child-focused, trauma-informed interventions including traditional therapy, parent-child interaction therapy, skills building, day treatment, juvenile justice, behavioral rehabilitation, substance use disorders services, therapeutic foster care, and residential services. Jay is a force for good in the world of Behavioral Rehabilitation Services (BRS) and creates lasting impact for children, adolescents, and families through his strong leadership of child services. With Jay’s heart for at-risk youth, intrinsic ability to coach individuals to personal success, and professional integration with partner agencies, KBBH will continue to improve lives and build healthy families throughout Klamath County. Jay’s spare time is committed to his large family, and always a coach, serving as the Defensive Coordinator for a local high school football team.